Ready to Flatten Things? Here comes the Road Roller RR 57. 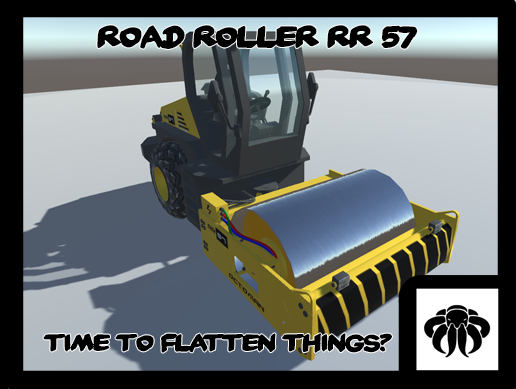 This is a rigged and animated Road Roller with a rather low polycount. All important pieces are UV-Mapped. This Road Roller has a physical setup so it will react to the ground and of course to other objects. All cables are rigged and baked into the existing animations. The model uses 2 different materials, because the drum needs a different setup! There is no Documentation needed for it at the moment.